Yes, you read it right. Below are the details. 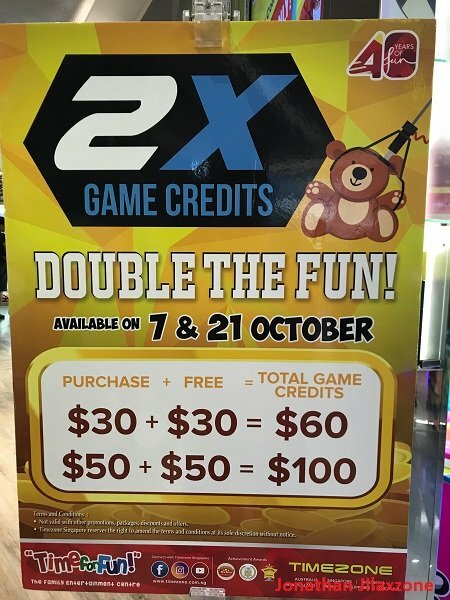 Double Game Credits at Timezone Singapore! When you top-up $50, earn another $50 for FREE, so you’ll get in total $100 game credits. 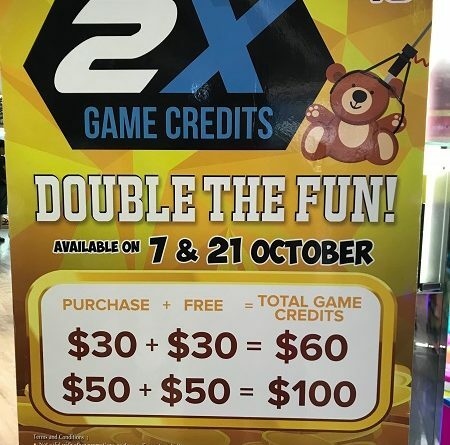 Timezone Singapore Promotion for October 2018: Double Game Credits! It’s like playing the game with 50% discounts for all games available in Timezone! If you are keen on playing at Timezone (either today, tomorrow, next week, next month or next year), be sure not to miss this deal. Take note of the following important dates! This “Double Game Credits” promotion is available on all branches of Timezone in Singapore. 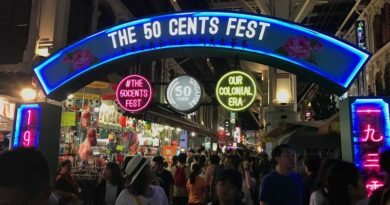 Find yourself the nearest Timezone by checking on the following official link at Timezone Singapore website. Do remember, you can play the “Double Game Credits” you earned, however you can only top-up to get “Double Game Credits” only on the mentioned dates above. Need more info about this promotion, well you can go to Timezone official website here. PS: I’m not a Timezone employee nor have any relation with Timezone. I just share the good news to everyone because sharing is caring and sharing is POWER! ← Wi-Fi Alliance put an end to confusing Wi-Fi Naming once and for all. Meet the new WiFi 6. 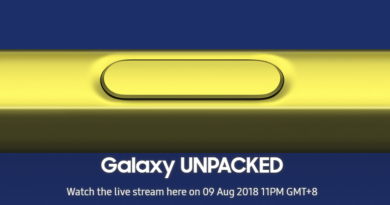 Samsung Galaxy Note 9 IS OFFICIAL! Watch it LIVE now!